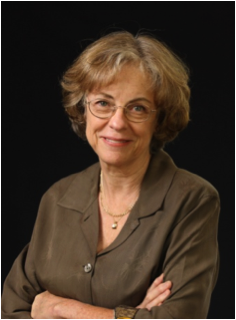 Margaret Miller, a retired professor in the Curry School of Education at the University of Virginia, is president emerita of the American Association for Higher Education and former executive editor of Change magazine. From 2002-2004, she was project director for the Pew-sponsored National Forum on College-Level Learning, which determined how to assess the skills and knowledge of the college educated in a way that enables state-by-state comparisons. She is on the national advisory boards of Inside Track and serves as a trustee of Lynchburg College. She was formerly on the board of the National Center for Higher Education Management Systems (NCHEMS). Miller was an English professor and then a campus administrator at the University of Massachusetts at Dartmouth for fifteen years. In 1986 she moved to the State Council of Higher Education for Virginia, where she served between 1987 and 1997 as chief academic officer. In 1997, Miller became president of the American Association for Higher Education (AAHE). At AAHE, she was a participant in the UNESCO World Conference on Higher Education; served as an advisory commissioner for the Education Commission of the States; chaired the steering committee of the Washington Higher Education Secretariat; was a member of the National Postsecondary Education Cooperative’s steering committee; chaired the TIAA-CREF Hesburgh Award panel; and advised the National Center for Public Policy and Higher Education on Measuring Up (the national report card on higher education), the Educating for a Diverse Democracy project at the University of Michigan, and studentPoll. Miller has been a featured speaker on campuses and at numerous conferences on topics that include quality assurance, college-level learning and how to assess it, change in higher education, the public responsibilities of higher education, the scholarship of teaching and learning, post-tenure review, campus governance, the educational uses of technology, electronic portfolios, the meaning of the baccalaureate, access, and indicators of institutional effectiveness. She has a book forthcoming from Routledge, tentatively entitled College Teaching and Learning for Change: Student and Faculty Speak Out, featuring students’ and professors’ accounts of teaching and learning in college.